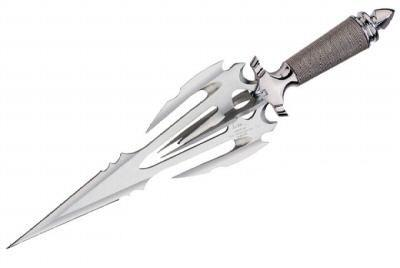 United Cutlery Titan knife features a double edged blade and false edge side blades made of 420J2 stainless steel. Handle is made of steel wire wrap. Included is an autographed display stand. Overall length: 17 1/4".